Next week, at a press event in New York, Verizon and Motorola are expected to announce the new DROID Turbo 2 and DROID MAXX 2. Plenty of information has leaked about each over the past few months, information that shows not only a new flagship DROID (Turbo 2), but another, more affordable DROID (MAXX 2) that will focus on battery life. To add to the ongoing story that will soon be official, we have new details from sources of ours that tell of phones that won’t just be about “DROID” and specs. These phones have additional programs that Verizon and Motorola hope will help them stand out. 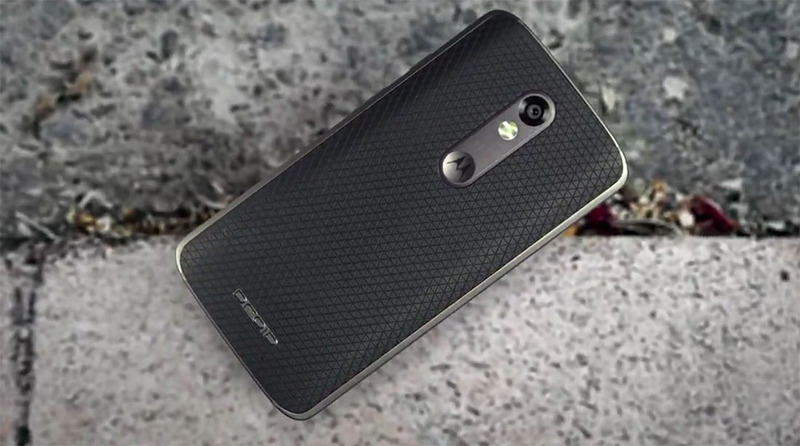 First, as we told you last week, the DROID Turbo 2 will be a part of Motorola’s Moto Maker program. If you buy a Turbo 2, you will be able to fully customize it, just like you can with the Moto X Pure Edition. Options will include soft touch plastic, leather, and ballistic nylon. But that’s not all. Motorola and Verizon are introducing a new program called “Design Refresh” that will allow you to “refresh” your phone with a new design once in a two year period. Design Refresh, as far as we know, is an add-on that you purchase along with the Turbo 2 and is not free. Interested customers will have to decide to buy it before the end of this year if they want to participate. But the idea is that they can refresh the design on their phone once. I would imagine that customers will have to send back their original Turbo 2 for a new one, but still, a phone refresh is a cool concept, assuming the program isn’t over priced to begin with. Second, outside of the customization, Motorola and Verizon are really going to play up this “Shatterproof” thing that has been referenced a handful of times already, including in this teaser from Big Red. The Turbo 2 will have a shatterproof display. I know that sounds like an insane promise, but Motorola and Verizon seem to be serious about this idea. The Turbo 2 will come with a 4-year guarantee that it won’t “crack or shatter.” Motorola is calling this new technology ShatterShield. Update: A reader of ours (Cheers Justin!) found a document on Motorola’s website that talks more about ShatterShield. You can view the document here. And this is what it says. Additional warranty coverage for those Products that contain the ShatterShield™ Display System: the ShatterShield™ display system is made up of 3 separate components; the display, embedded lens and a consumer-replaceable protective lens. The display and embedded lens are warranted against shattering and cracking for four (4) years from the original date of consumer purchase. The consumer-replaceable protective lens is not covered by this Limited Warranty, but should always be in place to prevent scratches and other damage to the underlying components. All other limitations and exclusions contained in this Limited Warranty (see “What is not covered” section below), including scratches and other cosmetic damage, intentional damage or abuse, and normal wear and tear, apply to the components of the ShatterShield™ display system. So Motorola is doing some sort of 3-layered display on the Turbo 2, it sounds like, that they think can’t be shattered or cracked. Should be fun putting that to the test. The MAXX 2 will also have a special screen program, though it’s not in the realm of ShatterShield. Motorola is doing a screen assurance program that will give you one free certified replacement within 2 years of purchase. Finally, Motorola says that the Turbo 2 is the world’s fastest charging smartphone in that it can grab 13 hours of power in just 15 minutes. We’ll be in New York City next week for the event. Stay tuned for our coverage as all of these details become final.